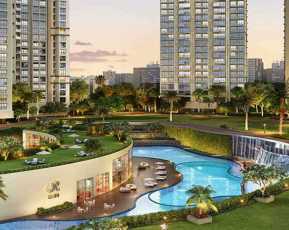 Welcome to Kanakia Zen World, the latest suave residential affair by the distinguished Kanakia Group. The ongoing residential venture is an excellent depiction of innovative and exclusive features that allows its dwellers live a life full of comforts, convenience and luxury. Sprawling across 2.5 acres & 2 Acres (Phase 1) of land parcels, the property houses 2 spectacular residential towers of 21 storeys each. 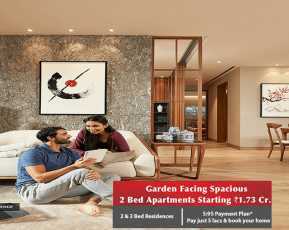 On the offer are 1, 2, and 3 BHK residential formats with 4 units per floor. 60% of land is pre-reserved for open spaces and there is a star gazing deck incorporated. The homes are decked up international level amenities handpicked thoughtfully to offer you a truly premium lifestyle and have health-friendly indoors. 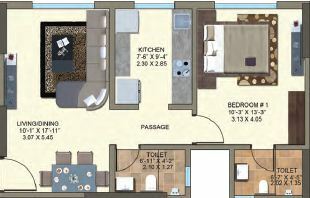 The apartments offer complete privacy and space and let you experience a completely pampered living. 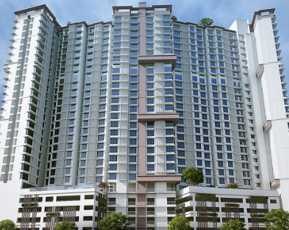 Property in Kanjurmarg Mumbai is a complete world in itself that is replete with ultra-modern facilities that provide a refreshing and relaxing atmosphere to all its occupants. The terrific internal and external amenities included are lavish club house, rock climbing wall, games room, meditation and yoga centre, swimming pool, hi-tech gym, sports facility, toddlers’ play area, car parking, multipurpose hall and lush green open spaces. The place is safe and secure with round the clock CCTV Surveillance and water and power back up. 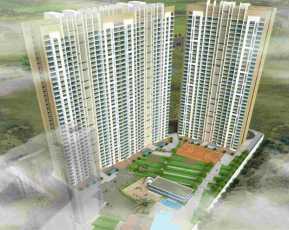 The upcoming property is comfortably located at Kanjurmarg, Mumbai and is just a hop away from Kanjurmarg station. JVLR is 0.5 kms, Eastern Express Highway is 1.5 kms, Powai 3 kms and Western Express Highway 5 kms away from the project. Basic utilities like schools, colleges, banks, ATM s, grocery shops, health care facilities, shopping malls, etc. lie in close proximity. Kanakia Zen World price the classy residential configurations are exclusively priced and supported by easy payment plans. Hence, Zen World by Kanakia at Kanjurmarg, Mumbai are artistically and elegantly crafted habitats that make a sound investment opportunity. The brand new creation with its grand aesthetics, perfectly chiseled landscapes and thoughtful amenities makes a perfect place of your dreams. Easily accessible from all prime locations, it is a good option for you and your family. Book your space now and look no further………..